O'Garro LW, Paulraj LP (1997) Onion leaf blight caused by Xanthomonas campestris: alternative hosts and resistant onion genotypes. Plant Disease 81(9), 978-982. Obokata J, Mikami K, Hayashida N, Nakamura M, Sugiura M (1993) Molecular heterogeneity of photosystem I. psaD, psaE, psaF, psaH, and psaL are all present in isoforms in Nicotiana spp. Plant Physiology 102(4), 1259-1267. Oda A, Shimizu M, Kuroha T, Satoh S (2005) Induction of xylem sap methylglycine by a drought and rewatering treatment and its inhibitory effects on the growth and development of plant organs. Physiologia Plantarum 124(4), 515-523. Ofuya TI, Credland PF (1996) The ability of Bruchidius atrolineatus (Pic) (Coleoptera: Bruchidae) to infest and damage seeds of different tropical legumes. Journal of Stored Products Research 32(4), 323-328. Ogasawara Y, Hidano Y, Kato Y (2006) Study on carbohydrate composition of apios (Apios americana Medikus) flowers and tubers. Nippon Shokuhin Kagaku Kogaku Kaishi = Journal of the Japanese Society for Food Science and Technology 53(2), 130-136. Ogawa K, Takeuchi Y, Katayama M (1988) Biomass production and the amounts of absorbed inorganic elements by crops in arable lands in Hokkaido, and its evaluation. Research Bulletin of the Hokkaido National Agricultural Experiment Station(149), 57-91. Oh C, Kim J, Kim K, Mabry TJ (1995) Rapid gas chromatographic screening of edible seeds, nuts and beans for non-protein and protein amino acids. Journal of Chromatography 708(1), 131-141. Oh H, Chun J, Lee M, Min K, Lee S, Cheon C (2000) Role of hsfA gene on host-specificity by Bradyrhizobium japonicum in a broad range of tropical legumes. Canadian Journal of Microbiology 46(1), 81-84. Ohashi H, Takahashi H (1981) Pollen morphology of Vigna angularis (Leguminosae). Botanical Magazine, Tokyo 94(1034), 177-180. Ohashi T, Ishimizu T, Akita K, Hase S (2007) In vitro stabilization and minimum active component of polygalacturonic acid synthase involved in pectin biosynthesis. Bioscience, Biotechnology and Biochemistry 71(9), 2291-2299. Ohba K, Minoura M, Safarpour MM, Picard GL, Safarpour H (1997) Method for the determination of imazamox and its two hydroxy and glucose conjugate metabolites in adzuki beans by capillary electrophoresis. Journal of Pesticide Science 22(4), 277-281. Ohba K, Nirei M, Watanabe S, Han K, Hashimoto N, Shimada K, Sekikawa M, Chiji H, Fukushima M (2005) Effect of an adzuki bean extract on hepatic anti-oxidant enzyme mRNAs in D-galactosamine-treated rats. Bioscience, Biotechnology and Biochemistry 69(10), 1988-1991. Ohno T, Miyatake T (2007) Drop or fly? Negative genetic correlation between death-feigning intensity and flying ability as alternative anti-predator strategies. Proceedings of the Royal Society of London. Series B, Biological Sciences 274(1609), 555-560. Ohtaki Y, Kiyohara T, Iwasaki T, Yoshikawa M (1980) Temporary site in the anti-tryptic fragment from adzuki-bean proteinase inhibitor II. Biochemical and Biophysical Research Communications 96(2), 719-724. Ohtsuka T, Hikawa M, Saka H (1990) Growth regulating action of isoprothiolane in plants. V. Interactions between RNA, protein synthesis inhibitors and isoprothiolane on adventitious root formation in stem segments of pulse crops. Japanese Journal of Crop Science 59(3), 566-571. Oka M, Nagamine T, Egawa Y, Katsuta M, Nakagahra M (1989) Collection of crop genetic resources in the central parts of Japan in 1987. JICA Ref Series(2), 119-135. Okada T, Kodama F, Fujita S, Kondo N, Naito S (2002) Effect of thiram on seed decay and seedling blight of adzuki bean caused by Pythium spp. 53rd Annual Report of the Society of Plant Protection of North Japan, 99-100. Okada T, Kodama F, Fujita S, Murata K, Kondo N, Kobayashi K (2001) Pythium species isolated from ungerminated adzuki bean seeds. Society of Plant Protection of North Japan, Akita. Okamura M, Hosoya S (2008) Development of Japanese space foods "sweet red bean paste". Nippon Shokuhin Kagaku Kogaku Kaishi = Journal of the Japanese Society for Food Science and Technology 55(9), 402-404. Oli S, Sima B, Sunirmal C (1989b) Cytomorphological studies in some taxa of Phaseolus Linn. and Vigna Savi. Cytologia 54(1), 97-108. Oliveira JTA, Pinto VPT, Vasconcelos IM, Fernandes CF, Ramos MV, Ferreira FVA, Rios FJB (2004) In vitro and in vivo digestibility of the albumin and globulin fractions of eight Brazilian cowpea Vigna unguiculata (L) Walp cultivars. Journal of the Science of Food and Agriculture 84(14), 1823-1830. Om P, Sharma RS, Singh BP (2002) Effects of phosphorus and row spacing on the yield attributes and yield of moth bean cultivars under rainfed conditions. Indian Journal of Pulses Research 15(2), 142-144. Ong HT (1980) Effects of mannitol induced water stress on the ribosomes of intact leaves of azuki bean seedlings. Biologia Plantarum 22(4), 249-254. Oogita T, Misumi T, Naitou M, Gotou M, Ogawa N, Tanigawa N (2009) Method of estimating inorganic bromine residue from fumigation with methyl bromide. Research Bulletin of the Plant Protection Service, Japan(45), 59-61. Ooume K, Inoue Y, Soga K, Wakabayashi K, Fujii S, Yamamoto R, Hoson T (2009) Cellular basis of growth suppression by submergence in azuki bean epicotyls. Annals of Botany 103(2), 325-332. Ortiz-R C, Francisco-G E (1987) Stochastic efficiency and the selection of crop varieties. Ciencia e Investigacion Agraria 14(3), 175-188. Osaki M (1993) Carbon-nitrogen interaction model in field crop production. 223-226. Osaki M (1995) Ontogenetic changes of N, P, and K contents in individual leaves of field crops. Soil Science and Plant Nutrition 41(3), 429-438. Osaki M, Shinano T (2001) Plant growth based on interrelation between carbon and nitrogen translocation from leaves. Photosynthetica 39(2), 197-203. Osaki M, Shinano T, Tadano T (1992) Carbon-nitrogen interaction in field crop production. Soil Science and Plant Nutrition 38(3), 553-564. Osaki M, Yamada S, Tadano T (1995) Effect of sink manipulation on nitrogen accumulation and distribution among organs of Gramineae and Leguminosae. Soil Science and Plant Nutrition 41(1), 33-44. Osman AE, Diek AAA (1982) Effects of defoliation on yield and forage quality of some tropical grasses, legumes and their mixtures. Experimental Agriculture 18(2), 157-166. Otanit T, Seike N, Miwa T (2006) Levels of dioxins in rice, wheat, soybean, and adzuki bean cultivated in 1999 to 2002 in Japan and estimation of their intake. Shokuhin Eiseigaku Zasshi = Journal of the Food Hygienics Society of Japan 47(4), 182-188. Oven M, Raith K, Neubert RHH, Kutchan TM, Zenk MH (2001) Homo-phytochelatins are synthesized in response to cadmium in azuki beans. Plant Physiology 126(3), 1275-1280. Owusu-Domfeh K, Farmer MJ, Christensen DA (1979) The amino acid composition of some Ghanaian legumes. Ghana Journal of Agricultural Science 12, 75-84. Ozaki K (1986) Plantlet formation from the calli of primary leaf of azuki bean (Vigna angularis). Japanese Journal of Breeding 36(4), 416-419. Ozawa Y (1978) On the viability of stored adzuki beans (Phaseolus angularis) and their hardness after cooking. Report of the National Food Research Institute(33), 37-40. Paikaray RK, Misra RC, Sahu PK (1991) Studies on niger based grain legumes intercropping system. Orissa Journal of Agricultural Research 4(1-2), 44-47. Pajni HP, Virk N (1985) Comparative nutritional efficiency of different pulses for the development of Tribolium castaneum Herbst. (Coleoptera: Tenebrionidae). Research Bulletin of the Panjab University, Science 36(1/2), 7-10. Pajni HR, Jit S (1977) Some observations on the oviposition of Callosobruchus analis (F.) (Bruchidae: Coleoptera). Research Bulletin of the Panjab University, Science 28(1/2), 93-98. Pal SS, Sandhu JS, Inderjit S (2005b) Exploitation of genetic variability in interspecific cross between Vigna mungo × V. umbellata. Indian Journal of Pulses Research 18(1), 9-11. Pan F, Wang P, Hu Z, He S, Feng X (2007) Phylogenic study of rhizobia strains isolated from rice bean Vigna umbellata L.) in Hubei by 16S-23S rDNA RFLP. Chinese Journal of Applied and Environmental Biology 13(1), 78-82. Pande HK, Jha KP (1984) Cropping systems for upland areas. 86-97. Pandey P, Bansal YK (1995) Culture associated genomic variations in two varieties of rice bean (Phaseolus calcaratus Roxy.). Cell and Chromosome Research 18(1), 9-15. Pandey SK, Pandey RK (1986) Sterilizing effect of thiourea in relation to density of progeny population in Callosbruchus chinensis (L.) (Bruchidae: Coleoptera) through topical application. Journal of Environmental Biology 7(1), 51-59. Pandey TD, Nandeha KL, Saxena RR (1998) Crop compatibility and fertility levels in maize forage crops under Bastar agroclimatic conditions. Forage Research 24(1), 57-59. Pandiyan M, Ramamoorthi N, Ganesh SK, Jebaraj S, Pagarajan P, Balasubramanian P (2008) Broadening the genetic base and introgression of MYMV resistance and yield improvement through unexplored genes from wild relatives in mungbean. Plant Mutation Reports 2(1), 33-38. Panjab S, Joshi NL (1980) Intercropping of pearl millet in arid areas. Indian Journal of Agricultural Sciences 50(4), 338-341. Panneerselvam M, Thamizhiniyan P (2008) Effect of AM fungi and dairy effluent on the growth and photosynthetic pigments of Phaseolus trilopus Ait. Plant Archives 8(1), 171-173. Panneerselvam M, Thamizhiniyan P, Lenin M (2008) Biochemical activity of Phaseolus trilobus Ait. in AM fungi and dairy effluent. Plant Archives 8(2), 611-612. Pareek BL, Sharma RC, Yadav CPS (1983) Record of insect faunal complex on mothbean, Vigna aconitifolia (Jacq.) Marechel in semi arid zone of Rajasthan. Bulletin of Entomology 24(1), 44-45. Parihar DR (1979) Outbreak of katra, Amsacta moorei pest in the Rajasthan desert. Annals of Arid Zone 18(1/2), 140-141. Park S, Nakajima M, Hasegawa M, Yamaguchi I (2005a) Similarities and differences between the characteristics of gibberellin-binding protein and gibberellin 2-oxidases in adzuki bean (Vigna angularis) seedlings. Bioscience, Biotechnology and Biochemistry 69(8), 1508-1514. Park S, Nakajima M, Sakane M, Xu Z, Tomioka K, Yamaguchi I (2005b) Gibberellin 2-oxidases from seedlings of adzuki bean (Vigna angularis) show high gibberellin-binding activity in the presence of 2-oxoglutarate and Co2+. Bioscience, Biotechnology and Biochemistry 69(8), 1498-1507. Parr MJ, Tran BMD, Simmonds MSJ, Credland PF (1998) Duration of behaviour patterns during oviposition by the bruchid beetle, Callosobruchus maculatus. Physiological Entomology 23(2), 150-157. Parvathi S, Kumar VJF (2006) Value added products from rice bean (Vigna umbellata). Journal of Food Science and Technology-Mysore 43(2), 190-193. Pate JS, Atkins CA, White ST, Rainbird RM, Woo KC (1980) Nitrogen nutrition and xylem transport of nitrogen in ureide-producing grain legumes. Plant Physiology 65(5), 961-965. Patel DK, Patel PG, Patel MM (2007) Intercropping studies on rainfed castor under North Gujarat conditions. Annals of Arid Zone 46(1), 99-101. Patel DP, Anup D, Rajesh K, Munda GC (2005) Comparative study of photosynthesis and associated parameters in major crops and weed species in mid hills of Meghalaya. Annals of Plant Physiology 19(1), 1-4. Patel JD (1976) Comparative seed coat anatomy of some Indian edible pulses. Phyton, Austria 17(3/4), 287-299. Patel JD (1977) Comparative anatomy of leaf, node and internode in some pulses. Flora, German Democratic Republic 166(3), 193-201. Patel JD, Desai NC, Intwala CG, Kodappully VC (2008) Genetic variability, correlation and path analysis in moth bean. Journal of Food Legumes 21(3), 158-160. Patel JD, Rao NV (1975) Shoot apical organization in seedlings of some Indian pulses. Phyton, Austria 17(1/2), 109-119. Patel JR (2003) Effect of sowing dates on fodder yield of different crops during winter season. Journal of Maharashtra Agricultural Universities 28(2), 181-182. Patel PN, Jindal JK (1972) Occurrence of bacterial blight disease on moth bean (Phaseolus aconitifolius) in India. Indian Phytopathology 25(3), 464-466. Patel PN, Jindal JK (1973) Studies on resistance in crops to bacterial diseases in India. VI. Reaction of moth bean (Phaseolus aconitifolius) and hyacinth bean (Dolichos lablab) lines to bacterial blight and leaf spot diseases incited by Xanthomonas phaseoli strains. Indian Phytopathology 26(3), 607-608. Pathik SR, Chaudhary HK, Gupta VP (1995) Estimation of additive, dominance and digenic epistatic interaction effects for certain yield characters in adzuki bean. Indian Journal of Pulses Research 8(2), 172-174. Pathik SR, Chaudhary HK, Gupta VP (1996) Stability of seed yield and its components in adzuki bean (Vigna angularis) in the mid-hills of the north-western Himalayas. Acta Agronomica Hungarica 44(2), 169-176. Patil AS, Jadhav SK (2006a) Cross inoculation studies with rhizobia of rice bean. Journal of Maharashtra Agricultural Universities 31(3), 377. Patil AS, Jadhav SK (2006b) Studies on correlation between crystal violet tolerance and nitrogen fixing ability of rhizobia of rice bean. Journal of Maharashtra Agricultural Universities 31(3), 378. Patil JD, Pawar RB, Durgude AG, Takate AS, Patil VS (2004) Relative efficacy of different cropping systems and land treatments on runoff, soil erosion and crop yields under dryland conditions. Journal of Maharashtra Agricultural Universities 29(1), 1-3. 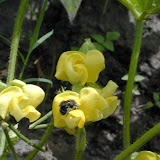 Patil SC, Patil HE, Jambhale VM (2008) Genetic divergence studies in moth bean (Vigna aconitifolia). Journal of Maharashtra Agricultural Universities 33(2), 161-164. Patil SC, Patil VP, Patil HE, Pawar SV (2007) Correlation and path coefficient studies in moth bean. International Journal of Plant Sciences (Muzaffarnagar) 2(2), 141-144. Patnayak BC, Mohan M, Bhatia DR, Hajra A (1979) A note on the nutritional value of cowpea, moth (dewgram) and clusterbean fodders fed as hay to sheep. Indian Journal of Animal Sciences 49(9), 746-748. Patra AP (2001) Performance of rainy season legumes as influenced by phosphorus and their relative efficiency on productivity and nitrogen economy of succeeding wheat crop. Journal of Interacademicia 5(4), 458-465. Patra AP, Ghosh P, Biswas A, Nayek SS, Ghosh SK, Saha M (2007) Growth and yield of wheat crop as influenced by nitrogen levels, previous rainy season legumes and their recycling in the gangetic alluvial soil of West Bengal. Journal of Crop and Weed 3(2), 15-19. Pattnayak PSD, Debnath NC, Basak RK (1990) Effect of partially acidulated Purulia rock phosphate on yield of some legume and non-legume forage crops. Environment and Ecology 8(3), 1008-1011. Paulsamy S, Lakshmanachary AS, Manian S (1987) Effect of overgrazing on the phytosociology of a tropical grassland ecosystem. Indian Journal of Range Management 8(2), 103-107. Pawar VD, Ingle UM (1987) Production of quick-cooking moth bean (Phaseolus aconitifolius Jacq.) 3. Effect of soaking on activity [of] trypsin inhibitor. Indian Journal of Nutrition and Dietetics 24(12), 376-379. Pawar VD, Machewad GM, Durge AV, Maitre AS (2009) Processing and characteristics of snacks extruded from rice and corn grits and two malted legumes. Journal of Food Science and Technology (Mysore) 46(5), 494-496. Pengelly BC, Blamey FPC, Muchow RC (1999) Radiation interception and the accumulation of biomass and nitrogen by soybean and three tropical annual forage legumes. Field Crops Research 63(2), 99-112. Pengelly BC, Muchow RC, Blamey FPC (1999) Predicting leaf area development in response to temperature in three tropical annual forage legumes. Australian Journal of Agricultural Research 50(2), 253-259. Peregrine WTH (1983) Chaya (Cnidoscolus-aconitifolius) - a potential new vegetable crop for Brunei. Tropical Pest Management 29(1), 39-41. Perrino P, Shagarodsky T, Esquivel M, Uranga H, Hammer K (1992) The cultivated races of Vigna SAVI in Cuba. Feddes Repertorium 103(7-8), 509-514. Perumal S (2006) The antioxidant activity and free radical-scavenging capacity of phenolics of raw and dry heated moth bean (Vigna aconitifolia) (Jacq.) Marechal seed extracts. Food Chemistry 99(1), 149-157. Pesci P, Beffagna N (1983a) ATPase, ADPase and p-nitrophenylphosphatase activities in microsomal preparations from various plant materials. I. Effects of the presence of magnesium in the homogenization medium. Atti della Accademia Nazionale dei Lincei, Rendiconti 74(1), 34-40. Pesci P, Beffagna N (1983b) ATPase, ADPase and p-nitrophenylphosphatase activities in microsomal preparations from various plant materials. II. ATPase, ADPase and acid phosphatase activity and effects of inhibitors and solubilizing treatments. Atti della Accademia Nazionale dei Lincei, Rendiconti 74(2), 99-108. Peterbauer T, Brereton I, Richter A (2003) Identification of a digalactosyl ononitol from seeds of adzuki bean (Vigna angularis). Carbohydrate Research 338(19), 2017-2019. Peterbauer T, Mucha J, Mayer U, Popp M, Glössl J, Richter A (1999) Stachyose synthesis in seeds of adzuki bean (Vigna angularis): molecular cloning and functional expression of stachyose synthase. Plant Journal 20(5), 509-518. Peterbauer T, Puschenreiter M, Richter A (1998) Metabolism of galactosylononitol in seeds of Vigna umbellata. Plant and Cell Physiology 39(3), 334-341. Peterbauer T, Richter A (1998) Galactosylononitol and stachyose synthesis in seeds of adzuki bean. Purification and characterization of stachyose synthase. Plant Physiology 117(1), 165-172. Petrova MV (1978a) Node and internode structure in species of Phaseolus and Vigna from the collection of the Vavilov Institute of Plant Industry (VIR). Byulleten' Vsesoyuznogo Ordena Lenina i Ordena Druzhby Narodov Instituta Rastenievodstva Imeni N. I. Vavilova(83), 81-90. Phansak P, Taylor PWJ, Mongkolporn O (2005) Genetic diversity in yardlong bean (Vigna unguiculata ssp sesquipedalis) and related Vigna species using sequence tagged, microsatellite site analysis. Scientia Horticulturae 106(2), 137-146. Phillips N, Imoto S, Ohta Y, Nakanishi K (1992) Partial purification of an endogenous elicitor from suspension-cultured cells of red bean, Vigna angularis. Experientia 48(7), 683-687. Pietsch SA (1996) Phloem transport: A new 'bidirectional' exudation method. Journal of Experimental Botany 47 (Spec. Issue), 1328. Pintarak A, Juntorn W (1996a) Improved fallow management. 177-187. Pol KM, Awari VR, Ugale SD, Thakur DR (2001b) Periodical correlations of various morpho-physiological and yield contributing characters with grain yield in rice-bean (Vigna umbellate (L.)). Annals of Plant Physiology 15(2), 159-162. Poonia KL (2004a) Impact of khejri (Prosopis cineraria) on soil fertility and its effect on growth and yield attributes of rainfed kharif crops. Current Agriculture 28(1/2), 95-97. Poonia KL (2004b) Intercropping of rainfed kharif crops with khejri (Prosopis cineraria Linn.). Current Agriculture 28(1/2), 91-93. Porpavai S, Palchamy A, Boopathi SNMR, Jayapaul P (2005) Feasibility studies on intercropping green manures with grain legumes and performance of ratooned green manure in pre-rice season and its effect on rice yield. Legume Research 28(4), 303-305. Pradhan AC, Samanta G, Agasti MK (2000) Effect of phosphate nutrition and harvesting schedule on the production of forage and mineral matter in rice bean [Vigna umbellata (Thunb.) Ohwi & Ohashi] in terai region of West Bengal. Indian Agriculturist 44(1/2), 31-34. Prakash BG, Khanure SK (1999b) Isolation of mutants and their frequencies under M2 generation in rice bean (Vigna umbellata L. Thumb). Madras Agricultural Journal 86(10/12), 568-572. Prakash BG, Kumar P, Veeresh LC, Shambulingappa KG (1993) Insects and mite pests of rice bean. Current Research - University of Agricultural Sciences (Bangalore) 22(3/5), 57-59. Prakash BG, Shambhulingappa KG (2000) Effect of gamma rays and EMS on biological end points and estimation of LD50 value in rice bean. Karnataka Journal of Agricultural Sciences 13(1), 155-157. Prakash BG, Shambulingappa KG (1999) Estimation of chlorophyll and viable mutation under M2 generation in rice bean (Vigna umbellate L. Thumb). Karnataka Journal of Agricultural Sciences 12(1/4), 38-42. Pramanik A, Somchoudhury AK, Khatua DC (2000) Persistent toxicity of Bacillus thuringiensis var. kurstaki to Spilosoma obliqua Walker on different host plants under field conditions. Journal of Entomological Research (New Delhi) 24(1), 91-95. Pranab R, Nisan B (1987) Reiterated DNA sequences in the genome of mung bean and its cloning. Plant Physiology & Biochemistry, India 14(1), 6-13. Prasad G, Bhol BB (1994b) Uptake of nitrogen, phosphorus, potash and calcium by rice bean (Vigna umbellata, Thunb, Ohwi and Ohashi) as influenced by row spacing and levels of nitrogen. Orissa Journal of Agricultural Research 7(Supplement), 105-107. Prasad G, Bhol BB, Kar BC, Mishra SN (1994a) Response of rice bean (Vigna umbellata) to spacing and levels of nitrogen. Indian Journal of Agronomy 39(3), 485-487. Prasad KVV, Agrawal SC (1992) Leaf blight of ricebean caused by Macrophomina phaseolina. Indian Journal of Pulses Research 5(1), 93. Prasad MSV, Inamdar JA (1991) Effect of cement kiln dust pollution on growth and yield of Vigna spp. Indian Journal of Ecology 18(2), 91-94. Prasad MVR, Singh RP (1973) Select your crop for Western Rajasthan. Indian Farming 22(10), 13-15. Prati S, Baravelli V, et al. (2007) Composition and content of seed flavonoids in forage and grain legume crops. Journal of Separation Science 30(4), 491-501. Praveen K, Kumar D, Tarafdar JC (2000) Reflection of genetic variation in grain yield of moth bean (Vigna aconitifolia Jacq. Marechal) on some biochemical properties of soil. Journal of the Indian Society of Soil Science 48(3), 619-621. Praveen K, Tarafdar JC (1997) Rhizobium-induced changes on nitrate reductase activity in rhizosphere and phyllosphere. Current Science 73(2), 204-205. Praveen K, Tripathi KP, Aggarwal RK (2002) Influence of crops, crop residues and manure on amino acid and amino sugar fractions of organic nitrogen in soil. Biology and Fertility of Soils 35(3), 210-213. Preeti S, Sanjana K, Dhar MK (2006b) Can phaseolin patterns help resolve the Phaseolus-Vigna complex? Genetic Resources and Crop Evolution 53(8), 1573-1578. Prema G, Dhumale DB (1990a) Study of genetic variability in ricebean. Annals of Plant Physiology 4(1), 92-95. Prema G, Dhumale DB (1990b) Study of path analysis in ricebean (Vigna umbellata). Annals of Plant Physiology 4(2), 211-214. Prema G, Dhumale DB, Raut RS (1990) Interrelationship between yield and its components in rice bean (Vigna umbellata). Indian Journal of Agricultural Sciences 60(8), 547-549. Premchand (1981) Presence of feeding deterrent in velvet bean, Mucuna cochinensis Roxb. Indian Journal of Entomology 43(2), 217-219. Price ML, Hagerman AE, Butler LG (1980) Tannin content of cowpeas, chickpeas, pigeon peas and mung beans. Journal of Agricultural and Food Chemistry 28(2), 459-461. Purwar JP (2009) Varietal preference of Spilarctia obliqua among pulses. Annals of Plant Protection Sciences 17(2), 490-491. Purwar JP, Anjuli A, Vishwanath (2007b) Evaluation of host preference of Spodoptera litura (Fabricius) among pulses grown in Uttarakhand hills. Pantnagar Journal of Research 5(2), 100-102. Pushpa G, Mahishi DM, Satyan BA, Kulkarni RN (1979) Karyomorphology of three species of Phaseolus. Mysore Journal of Agricultural Sciences 13(2), 147-151. Puttaswamy, Gowda BLV, Ali TMM (1977) Record of pests infesting moth bean (matki) (Phaseolus aconitifolius Jacq.) a potential pulse crop. Current Research 6(4), 69-71.